I woke up at 5:15 in the morning for whatever reason and decided to head to Rosemont early. I’m glad I had some extra time before the trucks passed as I discovered one spot with some excellent trash that I took my time sorting through. It was sort of an odd day all and all. I kept seeing things that I had seen or found before. For example, the little glass lamp on the right is exactly like one I found around a year ago. I gave that one to a friend but this one I’ll probably sell. It’s pretty cute and has some vintage appeal. 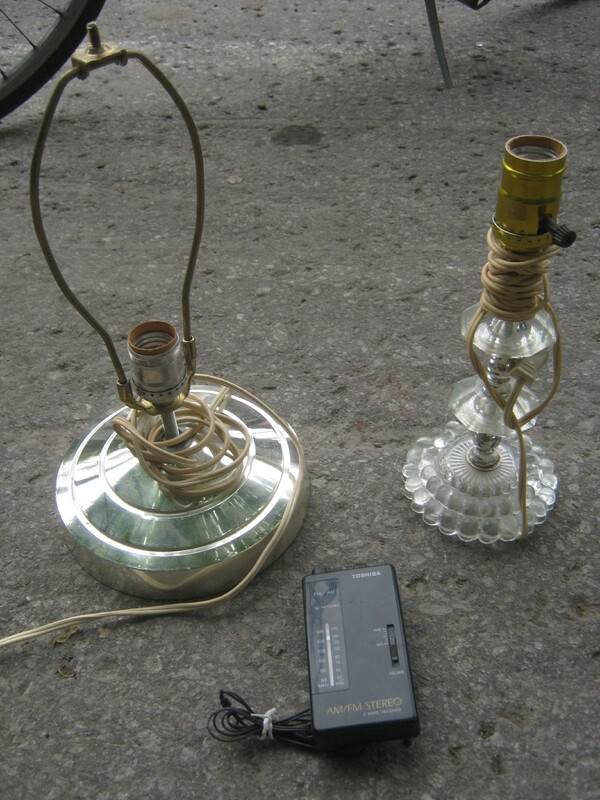 I also took another lamp as well as a little portable radio (with working batteries!). A pile of stuff that looked like moving leftovers on Garnier. There was some kid’s hockey gear but it wasn’t in particularly good shape. 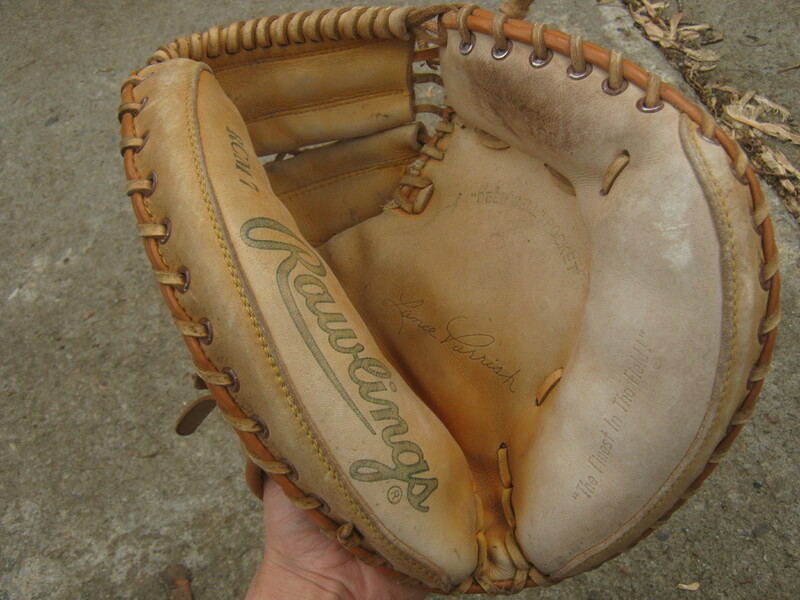 I saved this catcher’s mitt. It’s in great shape, broken in to perfection. This mitt features the name of Lance Parrish, a former all-star and gold glove catcher. He was at his prime in the early-mid 1980s so this glove likely dates back to then. More moving leftbehinds. I guess someone decided it was time to let go of their kid’s minor hockey plaques. This was the best spot. Inside these bags I found a good collection of older things, my favourite stuff to rummage through. I also found a number of old photos and slides that will be great for my new photo blog. A woman came out and expressed concern that I was interested in her “papers,” which I assumed meant some personal documents one could possibly steal an identity from. I told her I wasn’t really interested in that kind of thing. She ended up giving me a reusable shopping bag to carry stuff with which came in handy. I’m not sure if this stuff was her trash or her upstairs neighbours. I’m going to separate the things I salvaged here into a couple of posts. 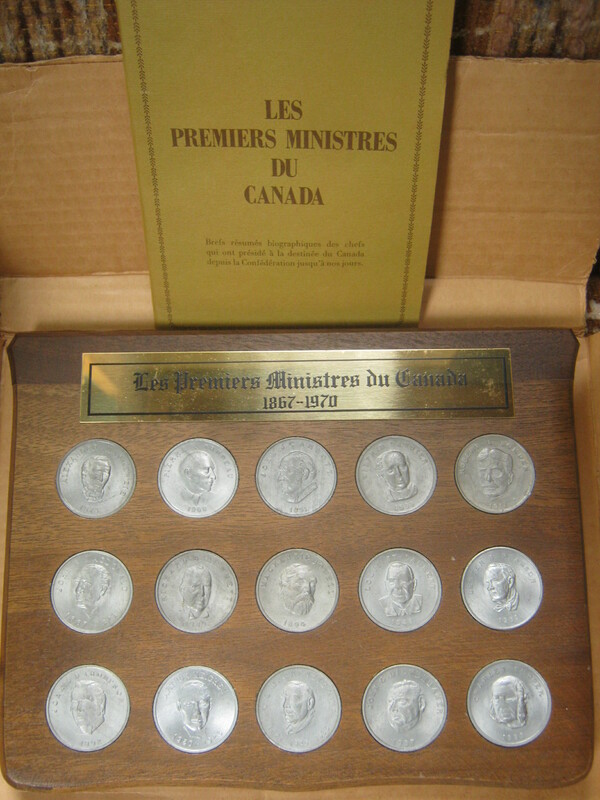 These are little tokens from a Shell Oil promotion back in 1970 that commemorated the Prime Ministers of Canada past and present. I recognized these from years ago when I helped my grandmother clean out some of her old stuff. I still have a few coins from that, actually. However, this person had a full set and the wooden piece that goes along with it. Someone on Ebay is trying to sell theirs for about 53$ (including shipping). I’m not sure if that’s realistic but I can definitely get a bit of money for them. 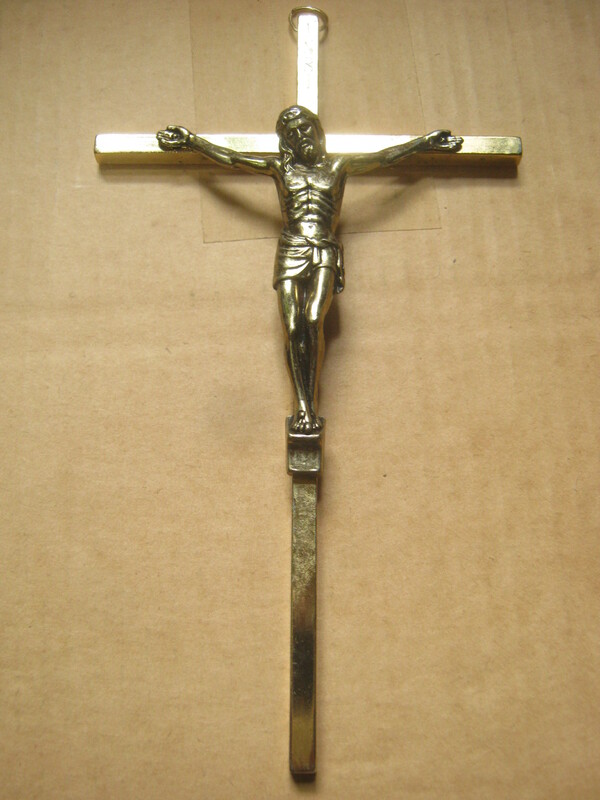 This is a classic cross that hangs from the wall. 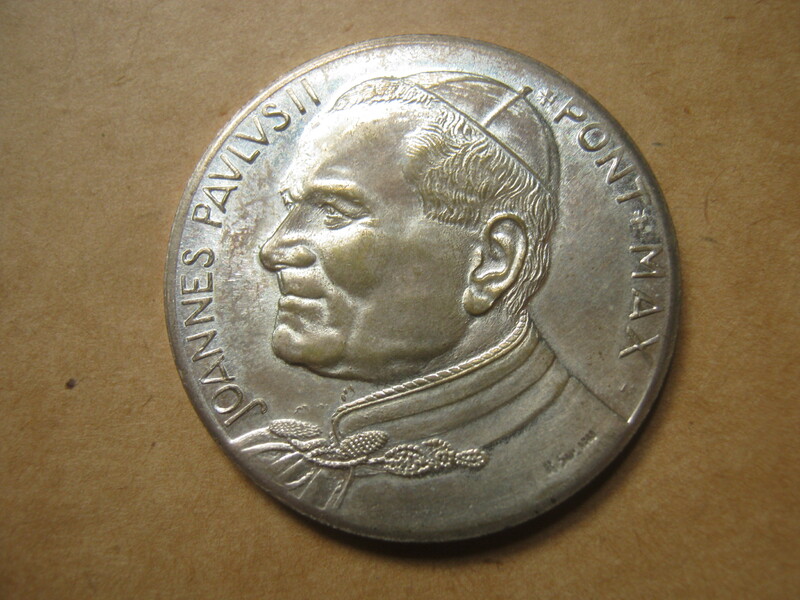 A medallion of Jean Paul II, which apparently in Latin is Joannes Pavlvs II. 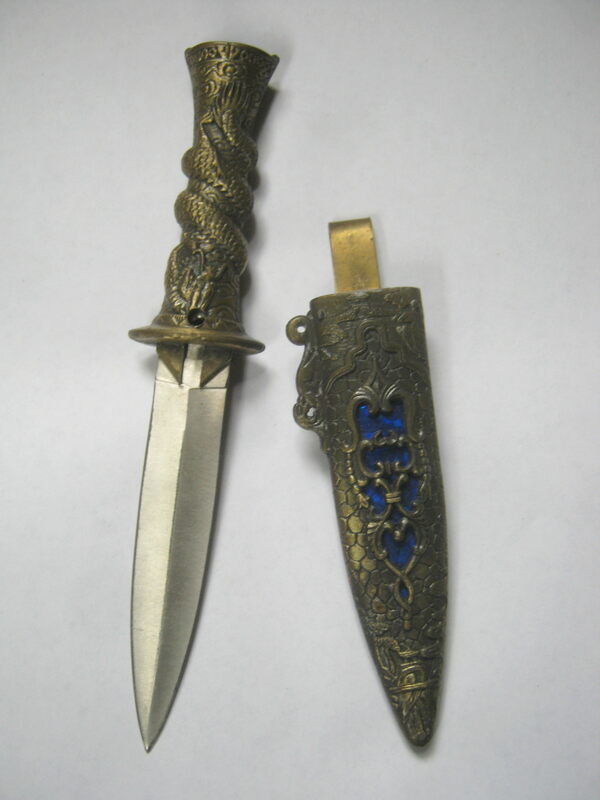 A dagger with a metal sheath that can be clipped to a belt. Its design looks kind of Asian. I also pulled out a little box full of St John’s Ambulance paraphernalia. 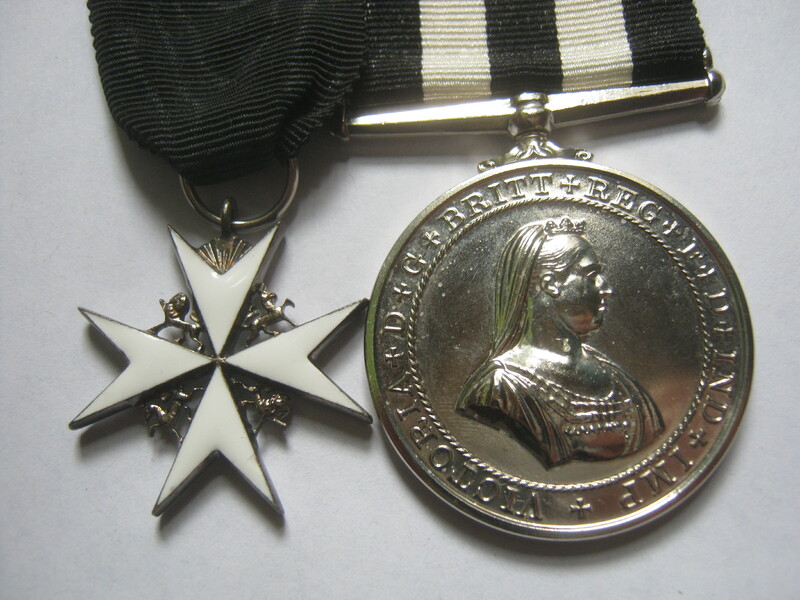 The two medals in the back are most notable. Here’s a close up of the medals. The one on the left looks like the insignia of the Venerable Order of St John and the one on the right looks like a Service Medal. I can’t tell how old these are really, though apparently the one on the right is still issued today and so it might not be particularly old. Last but not least, do any Canadians out there remember these? 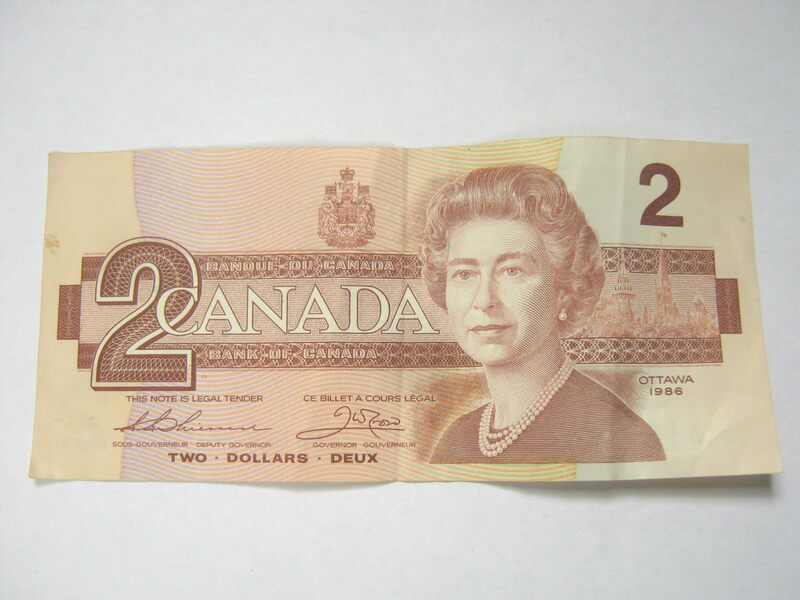 I was still a young’un when the 2$ bill was replaced with a coin. This bill was casually thrown into one of the bags. Hey, I always like finding cash. I’ll probably spend it normally and enjoy watching the cashier look at it with moderate interest. I’ll post the other stuff I found in good time. I’m going to cook up some lunch and maybe do a post on my photo blog before going to check out trash of the Mile End. Interesting haul … topped off with a $2 tip. Life is good. 🙂 Looking forward to examining your treasures this weekend. Found 2 great lawn chairs today in my neck of the woods, Pierrefonds. 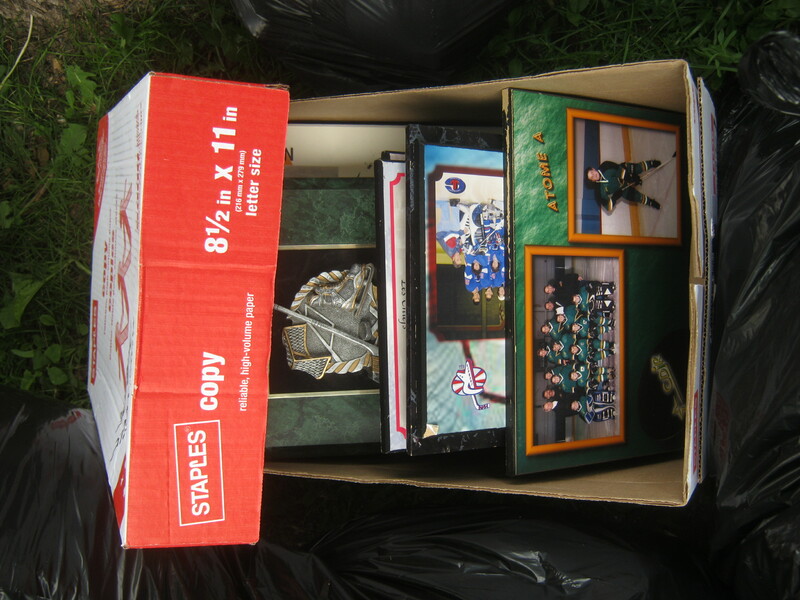 Congratulations on finding the money.I am happy you saved all the badges,pendants and insignia.I would not throw out my kids’ minor hockey plaques even when moving.They are not heavy or voluminous;they are easy to transport.I always find such sights sad.What I leave behind while moving is a lot of wrapping,broken furniture,boxes,discarded flyers,food bottles,food containers,etc.Art,photographs and books are what I am attached to.I am always delighted when you rescue paintings,figurines,antiques and books.Your discovery of the Expo 67 slides in the trash thrilled me enormously.Please keep rescuing such photo slides.However,unlike you,I do not rescue typewriters that I see in the trash.I have little use for them;I already have one old typewriter in the closet. 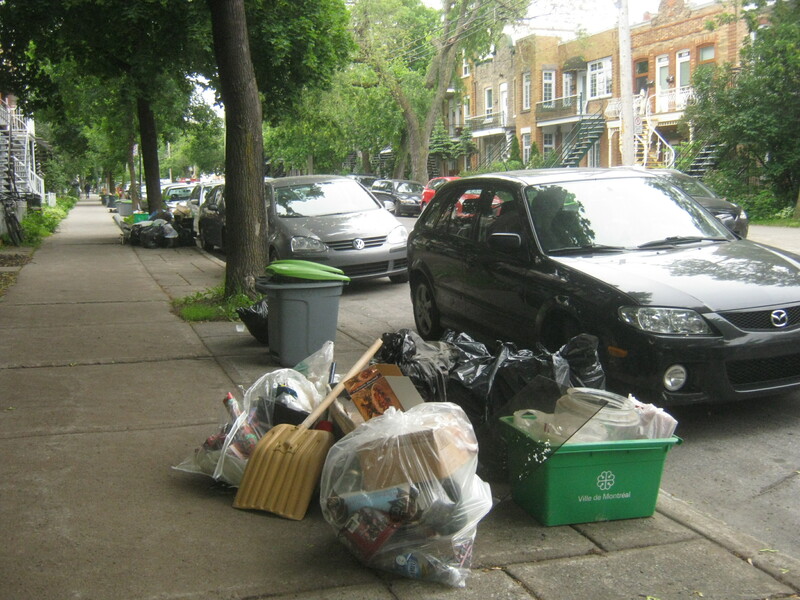 In Rosemont too,you seem to go a lot on Masson and Dandurand.I also hope you go on St.Zotique,Bélanger,Bellechasse and Beaubien streets right up to Pie IX.You should also check out the curbside trash on 13th Avenue to 17th Avenue in Rosemont. 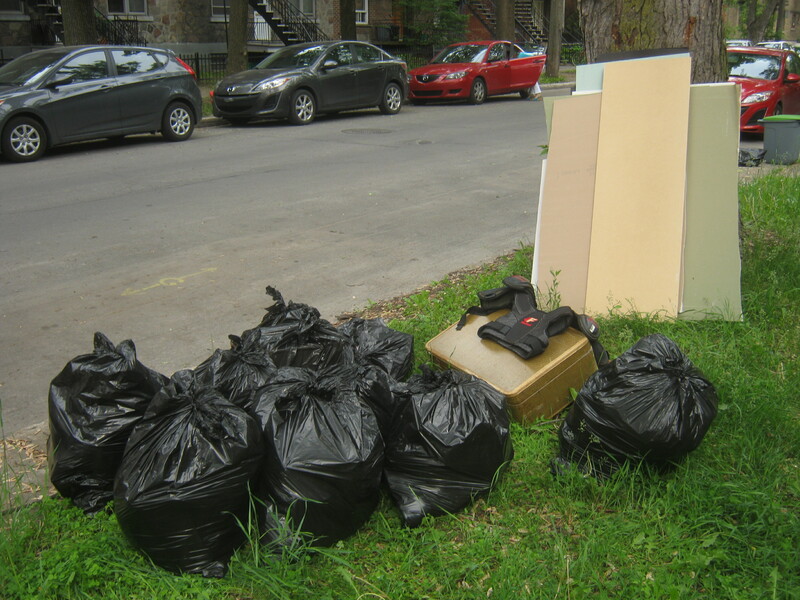 Every neighborhood should have smart scavengers like Martin.Does any reader know great streets or spots for dumpster diving in Ahuntsic-Cartierville?I am talking about art,figurines,food,clothing,furniture,books,etc.It is a very big arondissement so I hope a reader or two can post specific tips on this blog. I can’t speak for every borough but I find that the good trash is pretty random. 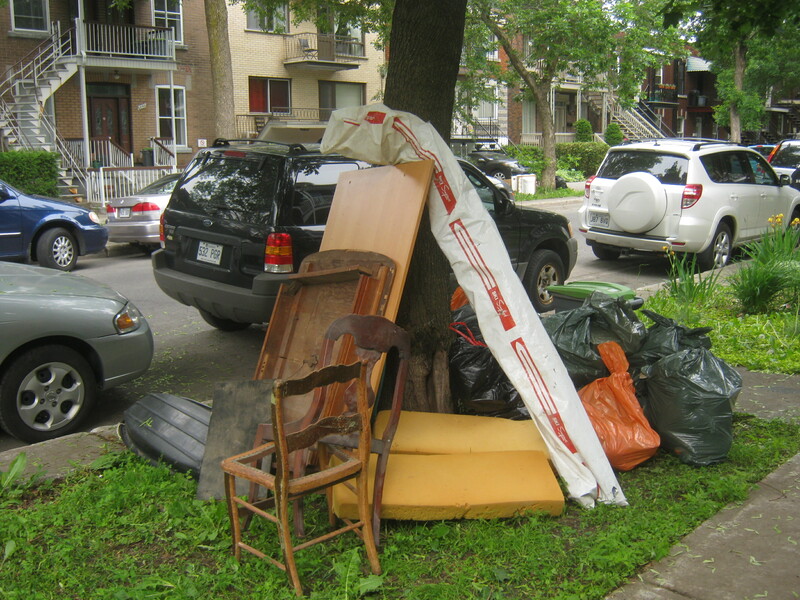 You might find a bunch of stuff on one street in a week and then nothing the rest of the year. The only thing you can do is explore the streets when the trash is out and before the truck comes. really like that dagger, the reptilian pattern is striking. Maybe you would be interested in another trade? I recently dived 19 boxes of organic natures path flax, and raisin flax cereal. maybe a few boxes of that? I have some other things . . I was thinking it would make a good gift for someone I know actually so I think I’ll hold onto it! A few years a man found and rescued a living kitten from a garbage can near Atwater metro.There was a bit of talk about this.Have you ever found an animal or a pet inside a trash bin,alive or dead?If you do,please rescue it and let us know by writing about it on your blog.Let us help reduce animal cruelty. I’ve never seen a live animal. Another picker once told me he found a live iguana once (this after some report they could carry salmonella). I saw a dead bird in a cage once but that’s all. This week it is going to be rainy.Please relax and recharge your batteries.Also enjoy the Grand Prix ambiance in downtown over the weekend.I was delighted with you for going to Verdun and Point St.Charles last week to look through the trash.I hope you try some more new areas next week.I hope you will have a girl friend or boy friend who can accompany you and ride another bike on another street but in the same neighborhood —two can carry more than one.Two can cover a greater area than one. 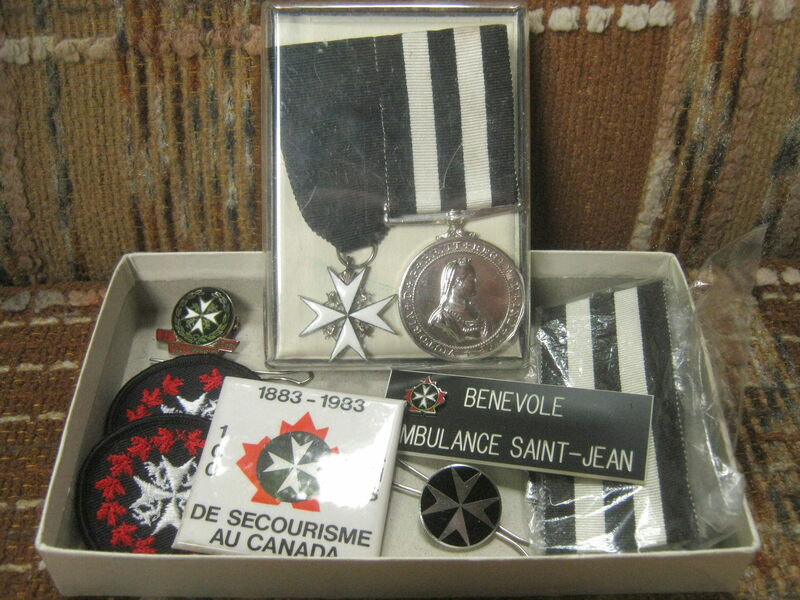 I know I’m late to the game here, but have you found a home for the St John Ambulance stuff? I’d love to help give them a properly honourable home.